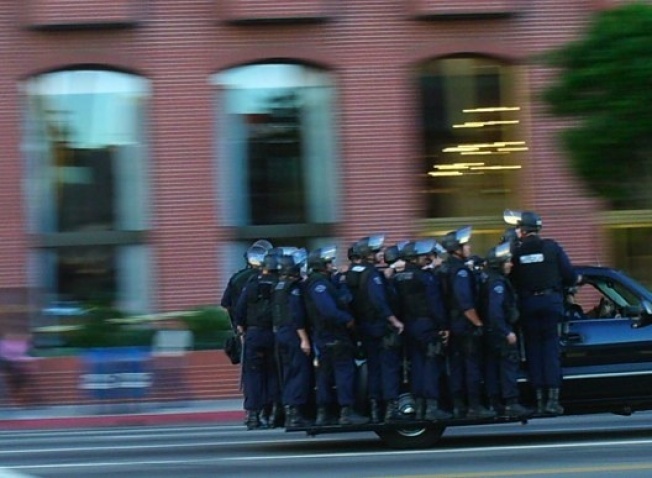 A shot of police headed to the protest around Wilshire and Westwood. Via NBC: "At about 4 p.m., officers closed Wilshire and Westwood boulevards. The march terminated near the intersection, jamming traffic in all directions." It's not clear what's open now, but the LA Times (below) is listing some street closures.